It’s hard not to fall in love with Eleanor Oliphant. True, at first, she’s socially awkward, judgmental and cleaves to routine like it’s a liferaft in a stormy sea (you soon discover that’s exactly what it is) and is as alone as a person can get. But as Gail Honeyman’s exquisitely well-told and infinitely heartwarmingly redemptive debut novel Eleanor Oliphant is Completely Fine progresses, you not only discover why she’s locked down so tight no one and nothing (bar copious amounts of vodka) can get in, but that she’s also possessed of a refreshing honesty, a desire for the truth (though that is deeply buried and takes some getting at) and a need, though not a consciously-expressed one, to reinvent herself from her scarred heart all the way up to her very limited wardrobe. Thirty-one-year-old Eleanor is, in any sense of the phrase, “damaged goods”, the product of a childhood so emotionally-abusive and traumatic that it’s any wonder she survived at all. 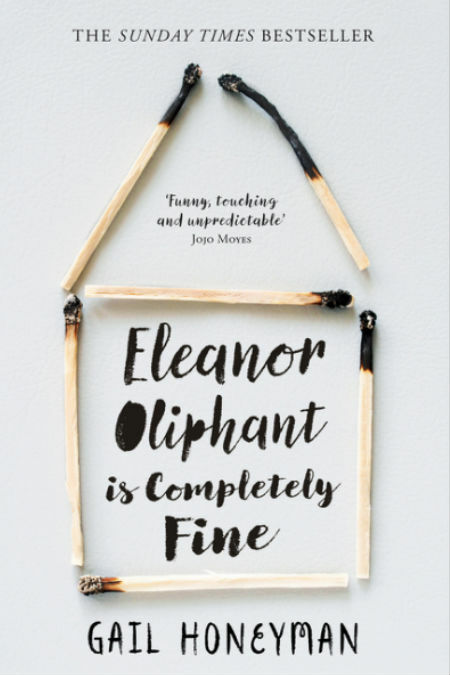 But survive she did, and as you come to know and trust me, love, Eleanor Oliphant, you come to understand why it is she is way she is and how survival never really equates to truly living for someone who has gone through that kind of hell growing up. The remarkable thing is that for her dissociation from the usual social norms and life experiences – she’s only been to one dance aged 13, doesn’t understand what it’s like to go out with friends, to be honest because she hasn’t really had friends and completely misinterprets the kind of gift you given someone on a significant birthday, or any birthday really – she is a likable, loveable person who isn’t wantonly cruel with her honest assessments of people and situations; she has been, simply out, walled off from the sorts of things most of us take for granted like family gatherings and touches of affection, and has never really progressed beyond a certain emotional and social point as a result. But Eleanor, though she doesn’t know it when she gets to know Raymond, the IT guy from her work who’s affable, kindhearted and a little bit slobbish, is ready for change, ready to press play after years on a frigid and life-stultifying, if protective, pause, and eager to get going on the rest of her life. It takes some time for her, and frankly you’re happy for her to take all the time she needs given the eccentric delight she is to spend time with, to come to grips with the deeply-sealed away pain and an unexpected lust for change and renewal. But as she does so, and Honeyman stages the renewal in quite authentic, piecemeal-sized moments that ring true and are all the more touching and affecting for that, you realise just how much Eleanor has lost, and yet with Raymond, and the family of the man she and Raymond help one day, now in her life, just how she has to gain. 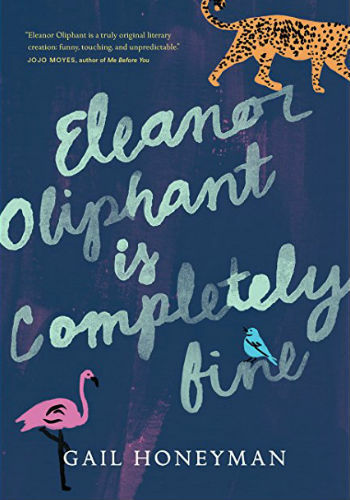 What stops Eleanor Oliphant is Completely Fine from being a treacle-laden tale of overly-romanticised twee – not that it is, at any point you can rest assured, in any danger of that thanks to Honeyman’s confident and assured writing that beautifully balances the harsh realities of life with its softer, more hopeful and recently-unveiled moments – is the way Eleanor changes by degree, not in some overly-unrealistic road to Damascus moment, coming, step-by-step to grips with the many coping mechanisms, delusions and childhood constructs that are inhibiting the more adult expression of her life. As she and Raymond draw closer as friends and a range of hitherto unknown social and emotional experiences reawaken Eleanor to the magical possibilities of life – even public transport takes on a rosier, less judgmental glow – she comes to appreciate that to get to where she now wants to go, she is going to have to go back and reacquaint much of the harrowing past that shut her down in the first place. It’s those dark parts of her never-discussed past, the stinging reminders of which fill her pain anew every time she talks to her mother, who appears to be in some sort of institution and rings her daughter every Wednesday to torment and revile her just as she’s done all her life (she’s a wicked creation on every level), that shape the final half of the book when all of Eleanor’s progress is stymied by pain, grief and anger that at that point, has no discernible source. But after reaching rock bottom and coming close to losing everything, Eleanor, helped along by the indefatigable friendship, and possible love of Raymond – it’s his friendship that means the world to our progtagonist who has never known that kind of companionship – slowly but surely and with consummate bravery and tenacity and some moments of deftly-placed black humour, begins to rebuild a life that was, until now, held together by routine, vodka and an iron will for survival. Lest you think Eleanor Oliphant is Completely Fine – spoiler alert: she’s actually not; we know that, of course but it takes a while for Eleanor to come to the party (quite literally on two instances) – is a dark and drudgerous trudge through one person’s horrific past, there is quite a lot of laugh out loud humour threaded throughout, much of it derived from Eleanor’s confronting honesty with others, and later on, herself. Having stared existential hell in the face, and somehow survived – you realise what a remarkable achievement that is as her story unravels and is put back together again – Eleanor, better than anyone, knows how wasteful it is to expend energy on pointless tasks and social interactions. But she also learns that it’s many of those social interactions, those emotional touchpoints that inform and enrich life, and you will fall in love with Eleanor each and every time she finds something new in life, something reinvigorates and reawakens her and in turn reassures her that there is more to life than simply getting through it. If you have ever suffered any kind of trauma in life, and shut down to cope with it only to find you’ve lost a great deal doing so – as a child horrifically bullied all my life at school, I can well understand Eleanor’s desire to screen out the more brutal, nightmarish qualities of life – you will find much to identify with and love about this book. Eleanor Oliphant is Completely Fine is a joy – a fun, vibrant all-too-real, weirdly unusual, deliriously funny and superbly well-written nuanced joy – that introduces us to the befores and afters of one sadly-damaged but ultimately good, quirky, sweet, funny, honest person, and reminds us in ways both hilarious and sobering that life may, at some points, take a great deal from us, but that it can, in time, also give a great deal back, and leave us unexpectedly transformed in the process.